One of the promotional brochures had a picture that showed the boys in suits. Here is the 8×10 glossy it came from. 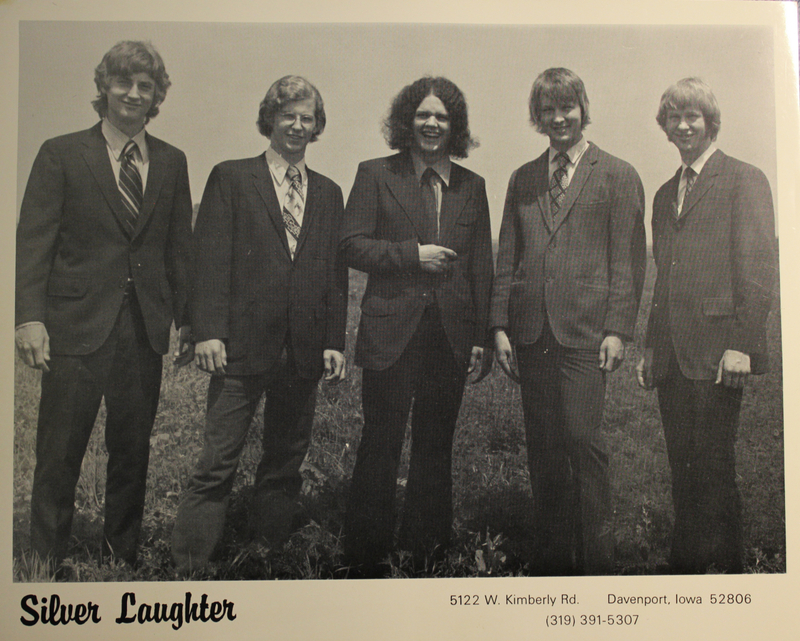 From left are: John Carstensen, Denny Walton, Steve Elliott, Jon Ludtke and Kim Ludtke. Once again, the boys are out standing in their field. Okay, it’s an old joke I’ve used before.